A Cup Of Tea and A Cozy Mystery: Title Wave by Lorna Barrett, An Outstanding Series And A Fantastic Read! 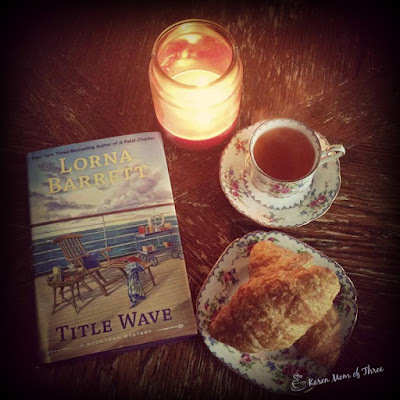 Title Wave by Lorna Barrett, An Outstanding Series And A Fantastic Read! 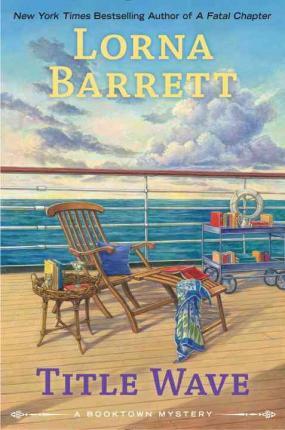 Next week Title Wave, the latest installment in the Booktown Mystery Series comes out. I was extremely lucky to have gotten this book to read early. I want to point out that I also ordered this hard cover book from The Book Depository and I still have it on order, having pre ordered it months ago. This is my most favorite series. It is pretty much how I found my way into a cozy world I never knew nor could I have imagined existed. Lorna's series opened doors and windows to a very large part of life I now love, enjoy and experience daily. the standard to which I hold all cozy mysteries to. This well established series celebrates and awakens something, in my soul. Her books helped me to come to terms with and understand the changes that were happening in my own life. At the time I found her first book Murder is Binding, (which came out two years before it made it to my tea table), my mother had just passed away and I was looking for a good book to take me away. 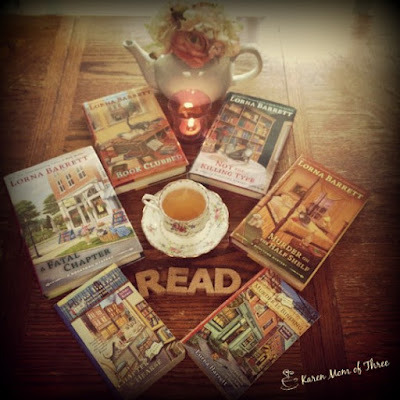 I found hers by spinning the cozy mystery racks at my local library and thus finding myself on a wonderful journey. The theme of finding yourself, making a life for yourself after changes in your relationships, work, and finding not only yourself but discovering who you are and what you are meant to be really spoke to me. The series is about that journey, about never giving up, about finding joy in your life in the most unlikely of places. It is also about learning to let go. One of the things I like most about this series and Title Wave is that main character Tricia doesn't have a charmed life, nothing really comes easy to her, she works hard, she struggles. She is very easy to relate too, she feels real, her relationships feel like true relationships. Her life is like a surfer riding an epic tidal wave, and though she tries to ride that wave, every now and again she gets knocked of the board. Even when she doesn't feel like surfing or swimming anymore, she keeps getting up to face the wave. We all need a little Tricia in our own lives, perhaps that is why she is so endearing. I loved this story, I stayed up very late past my bed time to finish it. The truth is I did not want to let Tricia and Angelica go on the trip with out me and I did not want to miss a minute of the journey. I have always been terrified of taking a cruise, I still am but the way that Lorna writes, I may have actually considered going on this trip with Tricia and the gang. I had to get up to get snacks a few times in this book, if the food described in this story is anything like the real food on ships, I may have to rethink my fear of the high seas in favor of afternoon tea at sea! 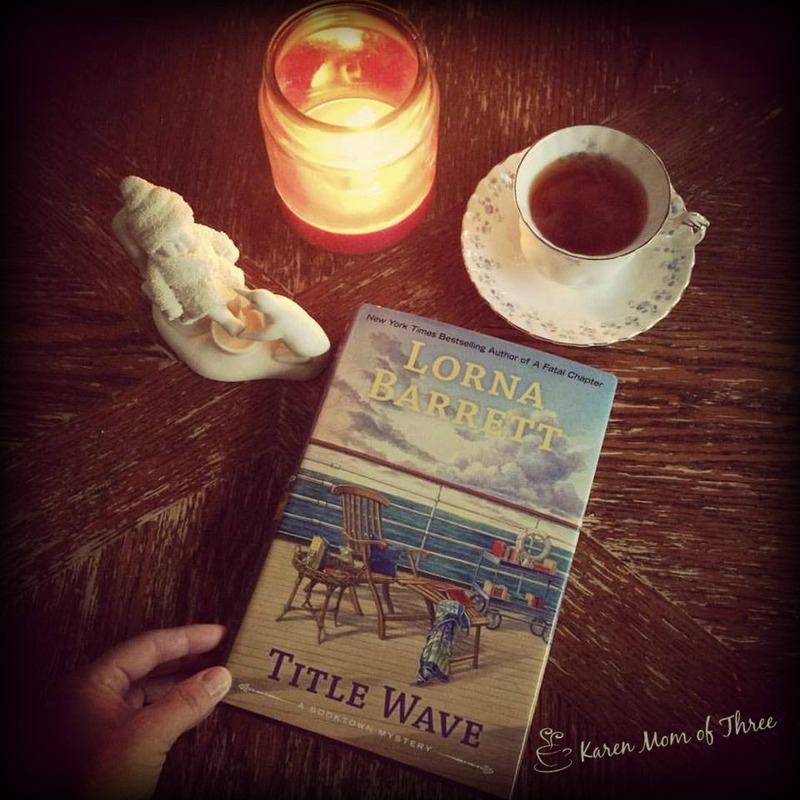 Pre order your own copy of Title Wave from The Book Depository by clicking here.